Indoor plants are a wonderful addition to a home and have many benefits. They are lovely to see and often improve the appearance of the home. Plants such as herbs are edible and may be medicinal as well. Some plants absorb air pollutants and help to purify indoor air. 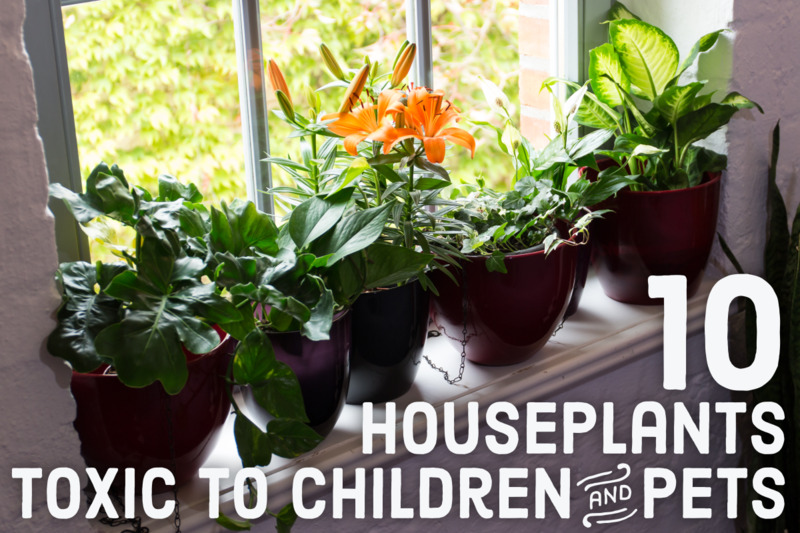 Learning how to take care of house plants teaches children responsibility and may arouse their interest in gardening, which can be a lifelong joy. Having plants in a home is also a great way to connect with nature. However, it's important that everyone in the family knows about the dangers associated with some plants. While many house plants are safe, some are poisonous for people and/or pets. This may not be a problem in a home with only adults and older children, if young children or pets live in the home, it's a good idea to avoid plants that are considered even mildly toxic. Although this is not a complete list, here are 12 common house plants that are poisonous to humans and pets, symptoms of poisoning to look out for, and examples of safe alternatives. Ingestion can cause stinging or burning of mouth and throat. It can also cause soft tissue to tear and become inflamed. Variegated baby rubber plant, prayer plant, or cast iron plant. Similar symptoms as dieffenbachia poisoning. Variegated baby rubber plant or prayer plant. Baby rubber plant, prayer plant, areca palm, or parlour palm. Similar symptoms as dieffenbachia poisoning. Contact with the sap can cause skin irritations. African violet, wax plant, or moth orchid. Similar symptoms as dieffenbachia poisoning but milder. African violet, moth orchid, or Barberton daisy. Extremely toxic. Ingestion can cause anything from nausea and vomiting to dizziness, heart problems, and seizures. It can also cause severe rashes. African violet, wax plant, moth orchid, or Barberton daisy. Ingestion of the bulbs can cause mouth and throat irritation, nausea, vomiting, and diarrhea. Frequent contact with the skin can lead to dermatitis. Ingestion of the bulbs can cause mouth and throat irritation, nausea, vomiting, and diarrhea. Ingestion of the bulbs can cause symptoms similar to ingestion of hyacinth bulbs. Frequent contact with the bulbs can lead to dermatitis—particularly in people with sensitive skin. African violet, pot marigold, or Barberton daisy. Contact with ivy leaves can cause the skin to redden, itch, and blister. Ingestion can cause fevers, difficulty breathing, delirium, and convulsions. Extremely toxic to pets. Symptoms are often mild in humans and include mouth and throat irritation, nausea, and vomiting. These are some of the more common houseplants you should look out for if there are children, dogs, and/or cats in the house. For more poisonous and non-poisonous plants, check out the resources at the end of this article. Dieffenbachia was given its alternate name of "dumb cane" because the plant can literally strike someone dumb if they eat it. The stem also resembles that of a cane plant. Dieffenbachia, or dumb cane, is a tropical plant that is native to Central and South America. It's popular as a house plant because of its large and attractive leaves. The leaves are green with light yellow or cream blotches arranged in a variety of patterns. The stems are thick and resemble canes. Dieffenbachia is a relative of the North American skunk cabbages and belongs to the family Araceae. Similar to a skunk cabbage, Dieffenbachia's small flowers are born on a long, rod-like structure called a spadix that is partly enclosed by a sheath called a spathe. This type of inflorescence (clustering of flowers) is characteristic of the Araceae. All parts of a Dieffenbachia plant contain raphides: needle-shaped crystals of calcium oxalate. Raphides cause stinging and burning sensations to the lips, mouth, tongue, and digestive tract. They can also cause tears in soft tissue, leading to inflammation and swelling that can prevent speech (hence, "dumb cane"). In more serious cases, raphides can block the airways and interfere with breathing. The skin may develop a rash and an itch after exposure to the plant's sap. Contact with the eyes can damage the cornea—the outer layer of the eye—and cause extreme pain. It's a good idea to wear gloves when handling the plant. Ingestion of the plant may cause nausea, vomiting, and diarrhea. Raphides occur in other plants as well and are thought to protect the plants from herbivores. Researchers believe that dieffenbachia contains other toxins in addition to calcium oxalate. What Do You Do If You Accidentally Ingest It? According to the NIH (National Institutes of Health), if someone has chewed or eaten dieffenbachia, their mouth should be washed with a cold, wet cloth. They should also be given milk to drink, and a poison control center should be contacted. If someone is unconscious or unable to swallow, they must never be given anything by mouth. The hands and eyes of the injured person must also be washed if these body parts have contacted the poison. 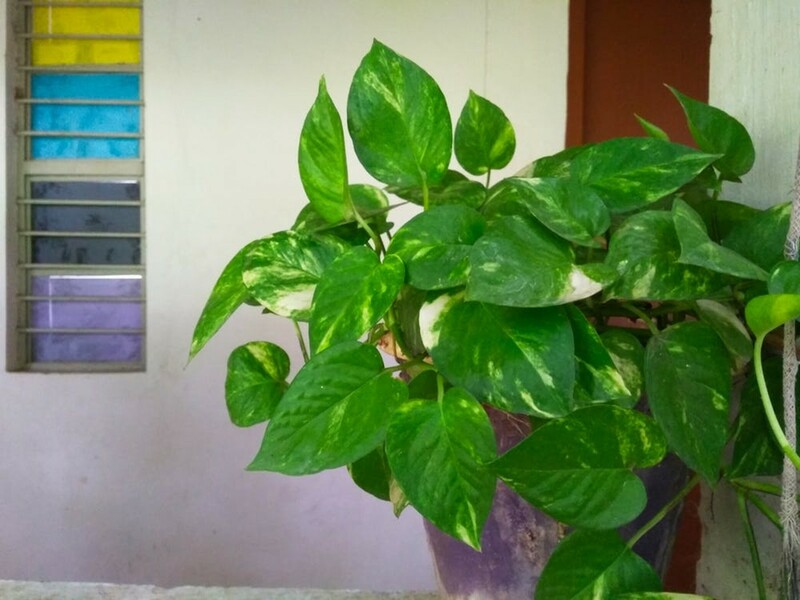 Usually, the damage done by dieffenbachia is unpleasant but not serious. The discomfort in the mouth may be severe and last for days. Fatalities have occurred from dieffenbachia poisoning, but they are very rare. What Are Safe Alternatives for Dieffenbachia? If the intriguing patterns on the leaves are what you're after, then consider a variegated baby rubber plant (Peperomia obtusifolia) or a prayer plant (Maranta leuconeura). Although their leaves are smaller than the Dieffenbachia's, they are both non-toxic and are perfectly safe around pets and children. 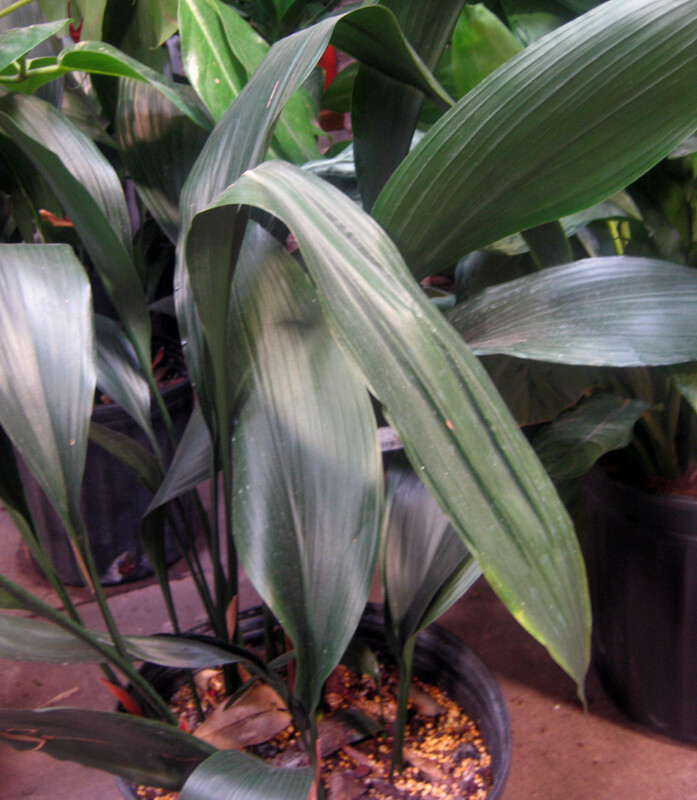 If you're looking for a plant with large leaves, you may find the cast-iron plant (Aspidistra elatior) to your liking. 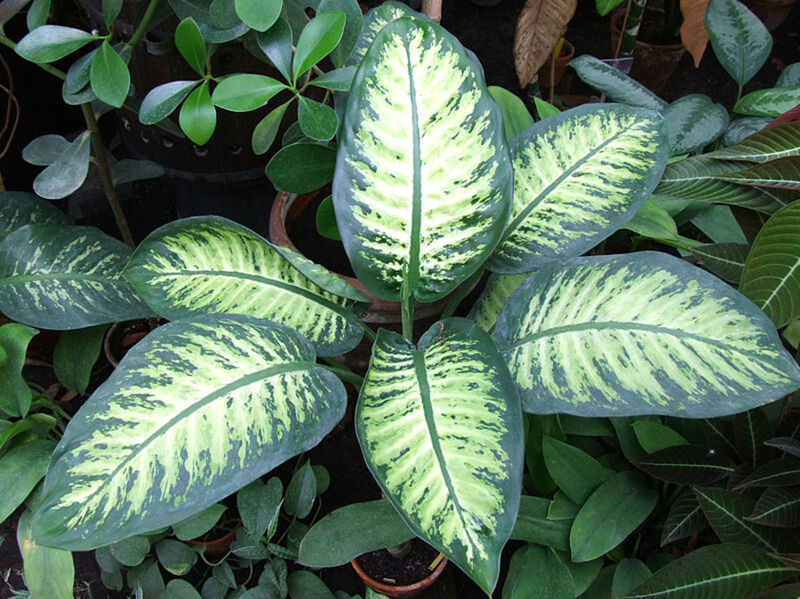 Although not as broad or showy as the dieffenbachia's, the cast-iron plant's leaves are long. The plant is also easy to care for, not requiring much light or watering. These plants use the small needle-like crystals to tear into soft tissue and inject their toxic proteases. Caladium is both the genus and the common name. They are a part of the family Araceae. Many varieties of caladiums exist with many different leaf patterns. The arrow-shaped leaves are generally variegated (having more than one color, usually in patches or other patterns) and contain different pigments, including green, yellow, pink, red, or brown. 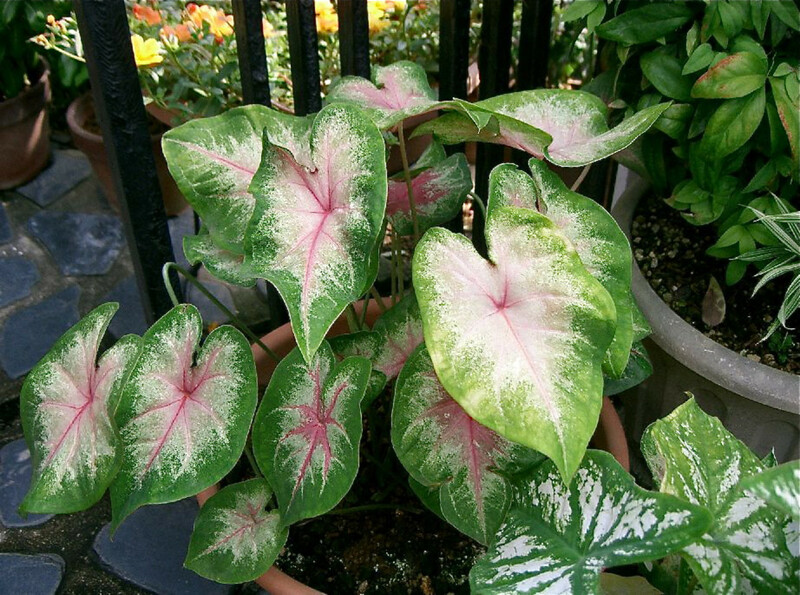 Caladiums can be grown in a container indoors or outdoors and also grow well in a garden. The leaves are beautiful and may become very large, prompting the moniker "elephant ear"—a name that is applied to several other plants as well. They have also been beautifully dubbed "angel wings". Like other plants in the Araceae family, caladium contains raphides that cause symptoms similar to that of dieffenbachia poisoning. 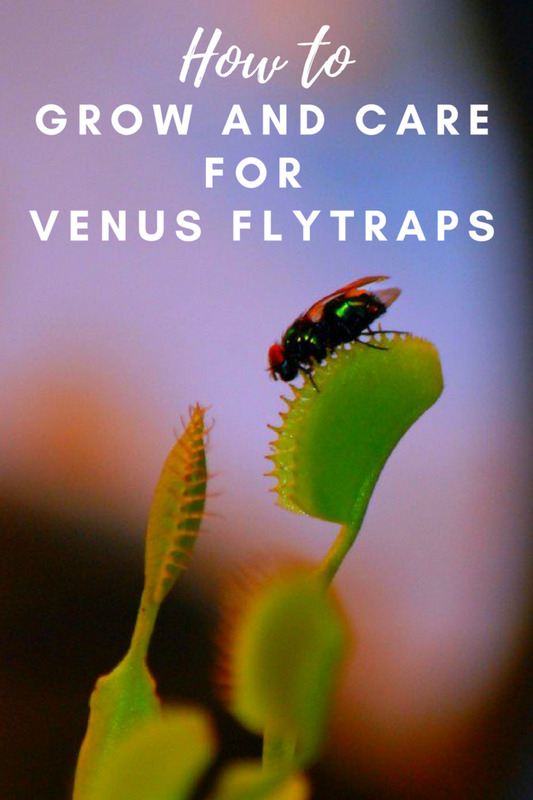 Again, although they aren't particularly poisonous for adults (a large amount of the plant needs to be eaten before symptoms appear), they can be very toxic for young children and pets. If you, your child, or your pet accidentally chew or ingest it, like with dieffenbachia, clean the areas of contact with a cold and wet cloth and drink milk or water. When in doubt, call poison control or your veterinarian. What Are Safe Alternatives to Caladiums? Again, the variegated baby rubber plant or the prayer plant make great alternatives because of their intriguing leaf patterns and safety, although their leaves are smaller. There are many different species in the genus Philodendron, and many of these are kept as indoor plants. 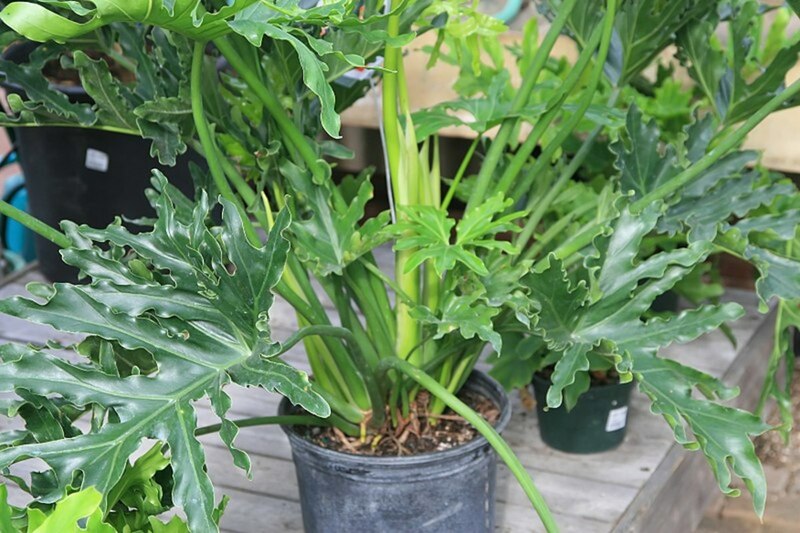 Philodendrons have a wide variety of interesting leaf shapes and color patterns. They can be so different from one another that it's sometimes hard to believe they all belong to the same genus. Many philodendrons are climbers and produce aerial roots, while others don't climb. Raphides are the culprit again. However, the evidence suggests that philodendron is only mildly poisonous and that most people have to eat a large quantity of the plant before they develop symptoms. Still, small children and pets are highly susceptible to poisoning by chewing or accidentally ingesting these plants. First aid protocols are similar to that of dieffenbachias and caladiums. What Are Safe Alternatives to Philodendrons? Unfortunately, most other ornamental house plants with large leaves are also poisonous to humans and/or pets. Depending on what you're going for, good choices for intriguing leaf patterns are the baby rubber plant and prayer plant—both of which are safe for children, dogs, and cats. If you want something similar to the split leaves depicted in the philodendron above, check out either the areca palm (Dypsis lutescens) or the parlour palm (Chamaedorea elegans). The latter is especially good for those looking for a low-maintenance indoor plant. Pothos (genus Epipremnum) is another popular house plant. It's an evergreen vine which trails over the edge of its container. The plant is attractive and doesn't require much attention, which is why it's popular in public areas such as shopping centers and offices. There are many species with a variety of leaf colors and patterns; some have solid green leaves, while some have variegated leaves. The leaves are usually heart-shaped with pointed tips. 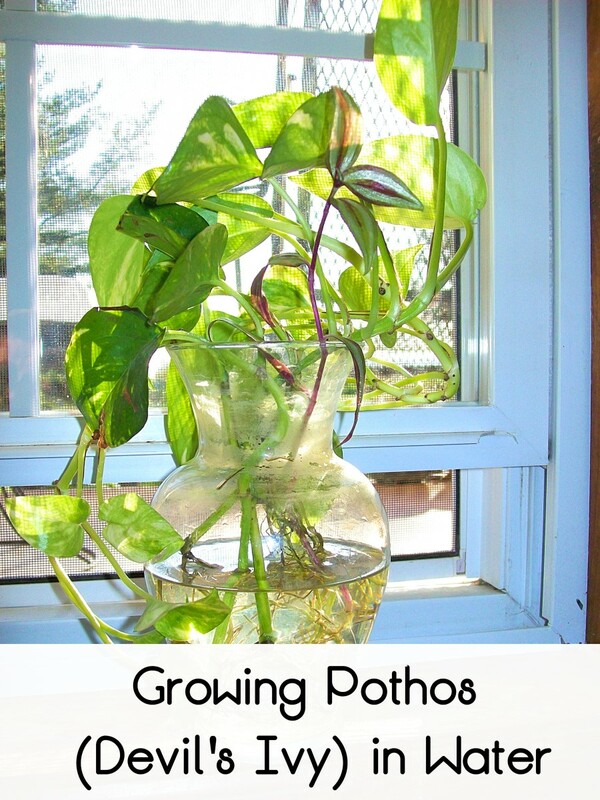 Pothos and some types of philodendrons are often confused with one other. If someone wants to make sure that they are buying a pothos instead of a philodendron, or the other way round, they should visit a nursery or garden store with knowledgeable and experienced staff. The calcium oxalate crystals cause the same irritating symptoms as dieffenbachias, caladiums, and philodendrons. Although they are only classed with mild to moderate toxicity, to a small child or pet, they can be extremely toxic. As mentioned previously, the severity also depends on how much is ingested. First aid protocols are the same as for dieffenbachias, caladiums, and philodendrons. What's a Safe Alternative to Devil's Ivy? Swedish ivy (Plectranthus verticillatus) also grows as a vine, often seen draping over hanging baskets in shopping centers. What's great is that unlike other ivy varieties, the Swedish ivy is perfectly safe for children, dogs, and cats. Devil's ivy was once classified in the genus Pothos instead of the genus Epipremnum, which accounts for its most popular common name. 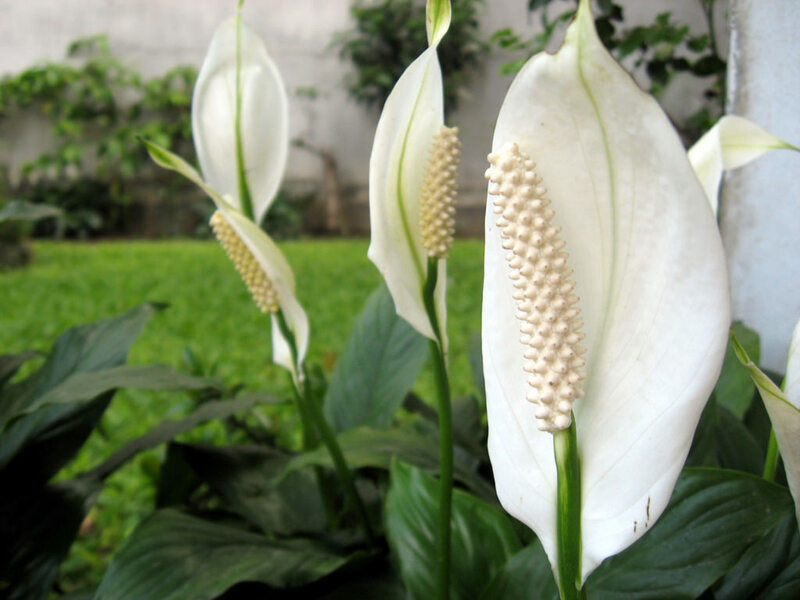 Despite its name, the peace lily, or spathe, isn't a true lily. It belongs to the genus Spathiphyllum—a part of the family Araceae. The leaves of the peace lily are long, narrow, and have a pointed tip. They feel leathery, are dark green in color, and have a shiny surface with prominent veins. The inflorescence has a white or light green spathe and is borne on a stalk that extends above the rest of the plant, resembling flags of surrender or peace—where the peace lily got its name. What Makes the Peace Lily Poisonous? Like its relatives above, the peace lily contains calcium oxalate crystals and can produce unpleasant symptoms accidentally ingested or if liquid from the plant contacts the skin. What's a Non-Poisonous Alternative to the Peace Lily? Although more vine-like than the peace lily, the wax plant (Hoya) produces round clusters of small, white, and fragrant flowers, and they are safe for both humans and pets. If you're looking for the flower to be more prominent, the moth orchid (Phalaenopsis) should suit you well. Exotic flowers that resemble moths' wings stem high above the plant's base and comes in many different colors and patterns. It is also one of the hardiest orchids. Is a Lily Truly a Lily? Not all lilies are true lilies (genus Lilium). True lilies are not toxic to humans, but they are toxic to pets. 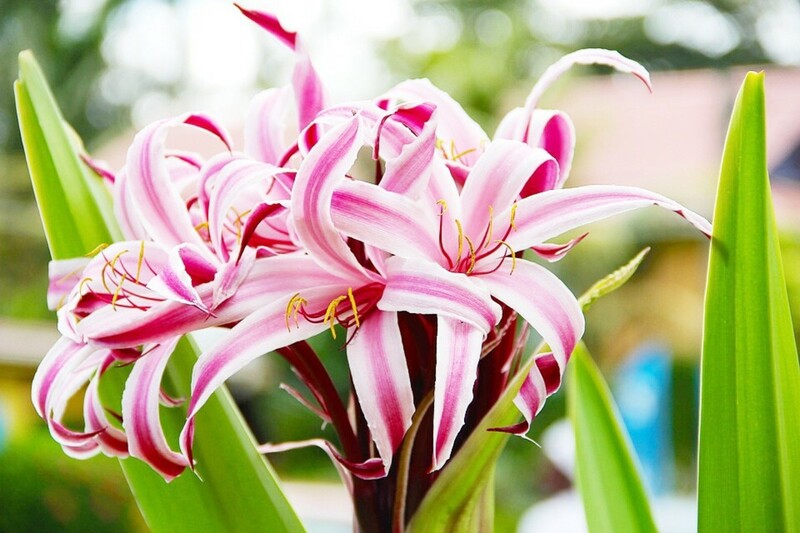 The scientific name is important when considering whether a "lily" is toxic. 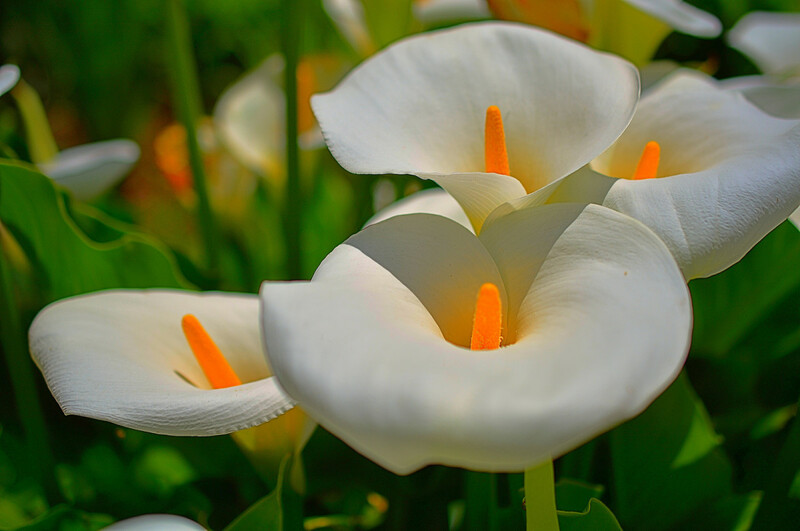 The calla lily (Zantedeschia aethiopica) is native to Southern Africa. Like the peace lily, the calla lily isn't a true lily (family Liliaceae) but is a member of the family Araceae. The large and beautiful white "petal" of the calla lily is actually a spathe, a bract (modified leaf) that surrounds the flower cluster of the plant. It surrounds a yellow, orange, or pink spadix, a spike where the small flowers are located. The spathe is uniquely shaped, with graceful curves that give it an elegant appearance. What Makes the Calla Lily Poisonous? The calla lily is yet another plant that contains calcium oxalate crystals. It's only mildly poisonous, which is good news for people who would like to bring this beautiful plant into their home. However, people with small children and pets should still stay clear. What's a Non-Poisonous Alternative to the Calla Lily? Although the characteristic white spathe is irreplaceable, the African violet (Saintpaulia), moth orchid (Phalaenopsis), and Barberton Daisy (Gerbera jamesonii) are all non-toxic and offer colorful and exotic flowers. So far, I've described the toxicity of plants mostly in terms of how they affect humans. Although the toxins can cause similar symptoms in cats and dogs, this isn't always the case. Pet owners should do some diligent research before they bring a plant into their home. An example of the differential effects of a plant poison in humans and pets is a toxin that's present in lilies. All parts of true lilies are non-toxic for humans but are deadly for cats. An unidentified chemical in the plant causes kidney damage in cats, which is often fatal. It's very important that vet treatment is sought as soon as possible after a cat eats any part of a lily. The longer the time between ingestion and treatment, the less likely that the cat will survive. Signs of lily ingestion can also be signs of other illnesses. If a cat has had access to lilies, however, lily poisoning must always be considered as a cause of the symptoms. All pet owners should know where their nearest animal emergency clinic is located as well as the hours when the clinic is open. They should also think about their transport method to the clinic. Public transit is rarely suitable in an emergency. Preventing lily poisoning is much easier than treating it. Avoid planting lilies in indoor pots or having lily bouquets where your cat can access it—maybe just avoid lilies altogether. If you must have them, make sure someone is supervising the cat at all times, and be diligent with pruning and cleaning up fallen parts, including leaves, flowers, and pollen. Someone with a cat in the family should never bring lilies into the home, even if the cat has shown no tendency to eat house plants. The risk is too great. Oleander (Nerium oleander) is beautiful but extremely toxic—even in small amounts. It's an evergreen flowering shrub that is grown both outdoors and indoors and produces flowers that can be pink, red, purple, or white. The leathery leaves are long and narrow and have a pointed tip. They are often arranged in pairs or whorls on the stem. Known toxins in oleander include oleandrin, oleondroside, neriin, and digitoxigenin. The toxins are present in all parts of the plant. Even the flower nectar of oleander and the honey that bees make from the nectar contain a dangerous amount of poison. The list of symptoms caused by oleander ingestion is long, but it can be broken down into categories based on the system affected. Note that not all of the symptoms may appear, and they may be caused by a different problem. 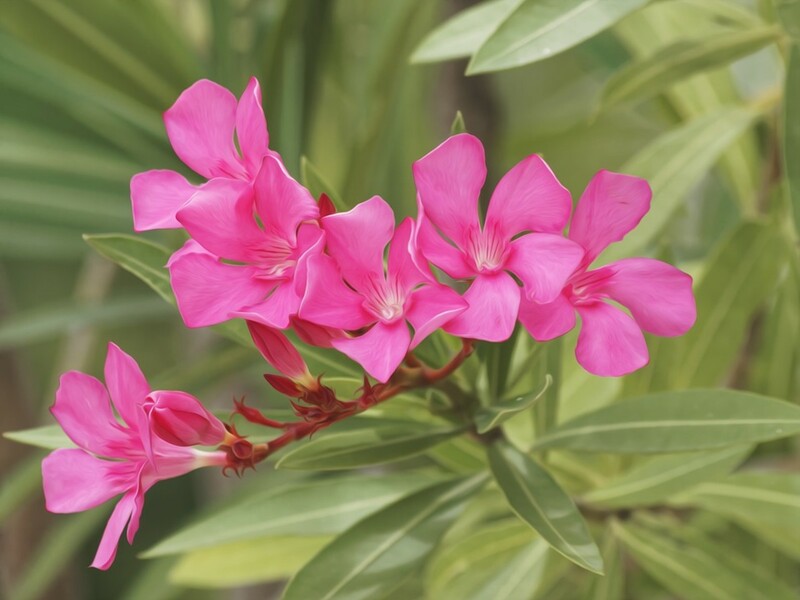 However, if oleander poisoning is suspected, seek emergency help right away as the condition could be very serious. Oleander poisoning is a medical emergency. Treatment by a medical professional is essential. What's a Non-Toxic Alternative to Oleander? The wax plant, moth orchid, Barberton daisy, and African violet all produce beautiful, non-poisonous flowers that are safe for both pets and humans. Plant toxins tend to concentrate in the bulb of some of the most popular flowering plants that develop from bulbs, but other parts of the plant also contain the toxins. Daffodils belong to the genus Narcissus. Other members of this genus are also sold as house plants and can cause the same health problems. 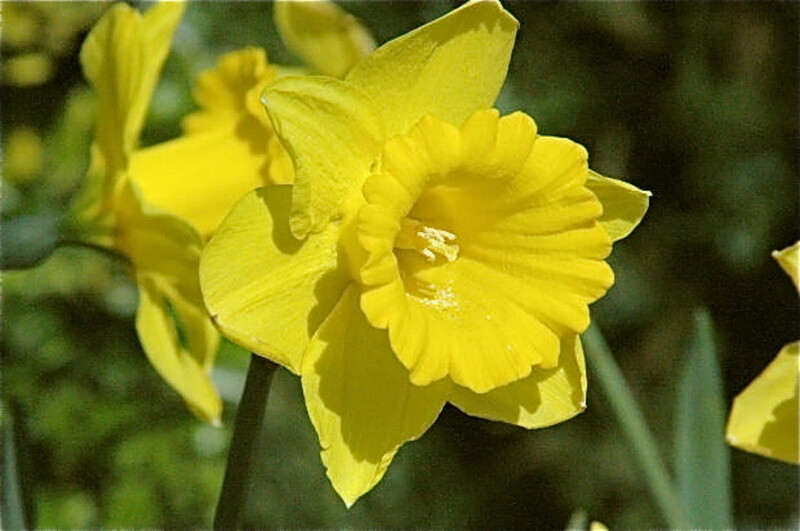 Daffodil bulbs contain calcium oxalate crystals and a toxic alkaloid called lycorine. Eating the bulb can cause oral irritation, upset stomach, nausea, vomiting, and diarrhea. In addition, people who frequently handle daffodil bulbs may develop dermatitis, a condition in which the skin becomes inflamed, red, and itchy. Daffodil bulbs are sometimes mistaken for edible bulbs, such as onions. An instance of this mistaken identity occurred in an English elementary school in 2009. Onion bulbs were collected from a school garden to add to soup that the children were making. Somehow, a daffodil bulb became mixed with the onion bulbs. Twelve children developed stomach cramps and vomiting after eating the soup and were taken to hospital. Thankfully, they were all able to recover. What's a Non-Toxic Alternative to Daffodils? The African violet (Saintpaulia) is safe for children and pets and has beautiful, velvety flowers. Hyacinths come in two common varieties: the common hyacinth (Hyacinthus) and the grape hyacinth (Muscari). Both are bulbous plants that produce flowers that are violet, white, or pink. The main difference can be noticed in mid-spring, when the flowers bloom. Common hyacinth flowers bloom outward into a star shape, while grape hyacinth flowers (as the name suggests) have a closed bloom such that the flowers resemble bunches of grapes. Like daffodils, hyacinths contain calcium oxalate and lycorine. Once again the toxin is most concentrated in the bulbs of the plant. Eating hyacinth bulbs produces the same symptoms as eating daffodil bulbs. 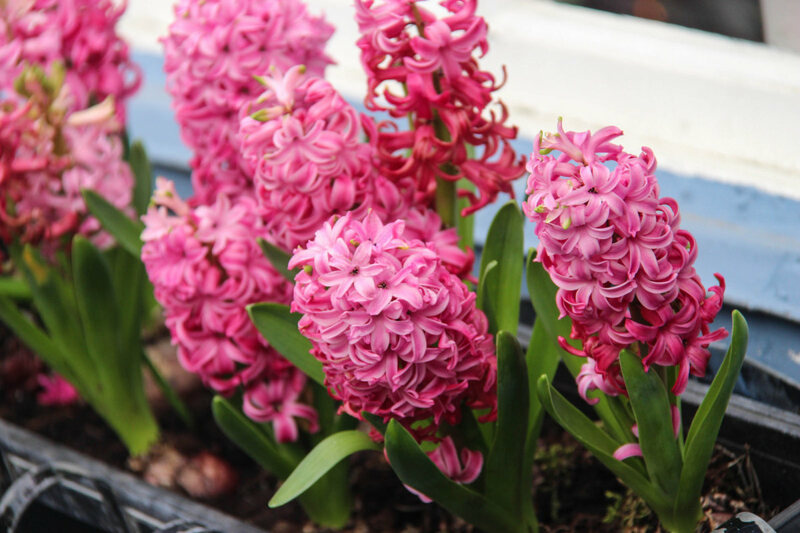 What's a Non-Toxic Alternative to Hyacinths? Some species of marigolds, like the pot marigold (Calendula) are safe for humans and pets, while other species, like the French or African marigold (Tagetes spp.) are mildly poisonous to dogs and cats if ingested or touched. If you are getting marigolds, make sure they are from the genus Calendula and do some research to be safe. Tulips are a popular, bulbiferous, spring-blooming flower of which there are over 3,000 varieties. The most common colors seen include white, yellow, orange, pink, red, blue, and purple. Tulips can instantly brighten a landscape and are often seen in large garden beds, in bunches along walkways, in pots both indoors and outdoors, or arranged in vases as a decorative piece. The bulbs contain a toxin called tuliposide A that can cause dermatitis in humans, but apparently only in people who are sensitive to the toxin. People who frequently handle the bulbs are most susceptible to the dermatitis. 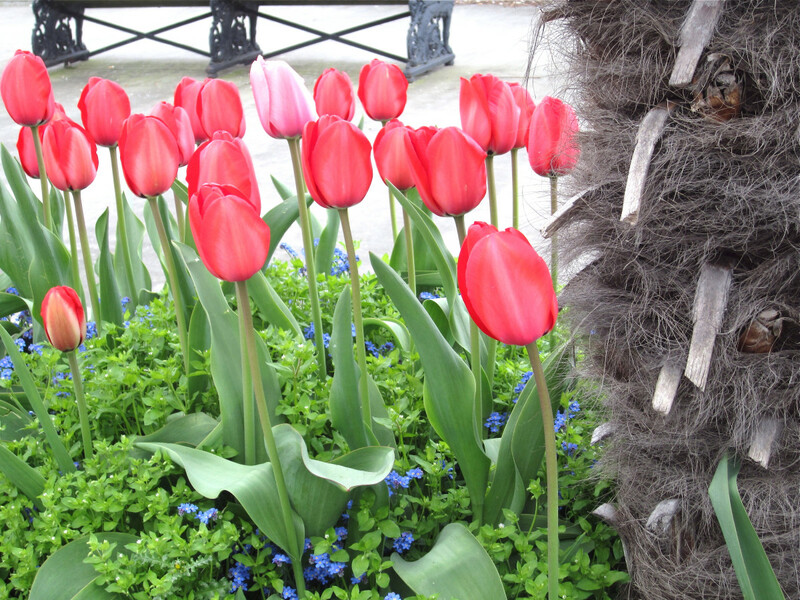 Tulips also contain calcium oxalate. Eating large amounts tulip bulbs may cause mouth and throat irritation, excess drooling, nausea, and diarrhea. Although some consider tulips to be edible by humans—it is sometimes used in place of onions while cooking or as a garnish—others consider it to be poisonous, especially for people that are sensitive or allergic to tulips. For dogs and cats, tulips are considered highly toxic when ingested in large amounts. What's a Non-Toxic Alternative to Tulips? If you're looking for a pet-safe flower to decorate your home, consider the African violet, pot marigold, or Barberton daisy. English ivy (Hedera helix) is a climbing and trailing vine. 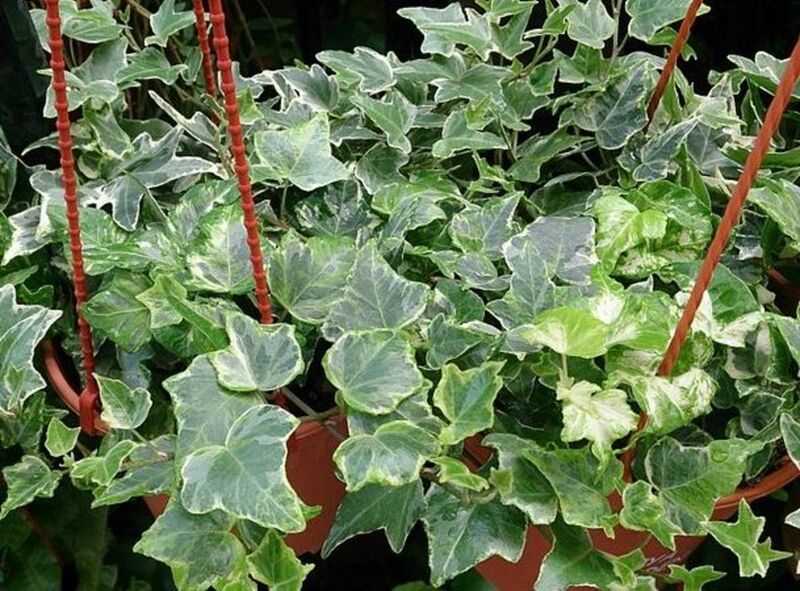 Cultivated ivy is sold with both solid green leaves and variegated leaves. Leaves on the climbing stems have pointed lobes. The leaves on flowering stems are oval. English ivy is an attractive plant, but in the wild, it can become invasive. What Makes English Ivy Poisonous? The liquid from a damaged ivy plant can severely irritate the skin and cause dermatitis. After handling ivy, a person may find that their skin is itching, red, and blistered. It can also cause very serious internal problems, although generally many leaves must be eaten to cause these effects. A person may develop a fever and experience breathing difficulties, vomiting, delirium, hallucinations, and convulsions. What's a Non-Toxic Alternative to English Ivy? If you're looking for non-poisonous hanging plants, consider the baby rubber plant, Swedish ivy, prayer plant, or the succulent alternative: donkey's tail or burro's tail. The snake plant is useful in more ways than one. Not only are the tall leaves easy on the eyes, they can help regulate the humidity in your home and help purify the air. There are about 70 varieties with slightly different shapes, patterns, and shades. It's relative in the genus Sansevieria, the viper's bowstring hemp, is also considered poisonous to humans and pets. What Makes the Snake Plant Poisonous? All parts of the snake plant are poisonous, thanks to the presence of saponins. This can cause gastrointestinal discomfort as well as nausea, vomiting, and diarrhea in humans and pets, although the symptoms are much milder for humans. What's a Non-Toxic Alternative to the Snake Plant? A safer alternative that also features large, prominent leaves is the cast iron plant. This plant also has the added benefit of being very low-maintenance; it can tolerate low lighting, humidity, and minimal watering. I love my pets and also enjoy having house plants in my home. I would never buy plants that could harm my dogs or cats, but even so, I have a nice collection of indoor plants. Someone with young children or pets can still enjoy the presence of house plants. Just do some research before they buy a plant to check that it is non-toxic for everyone in the family. For example, the University of Connecticut has lists of poisonous and non-poisonous houseplants. 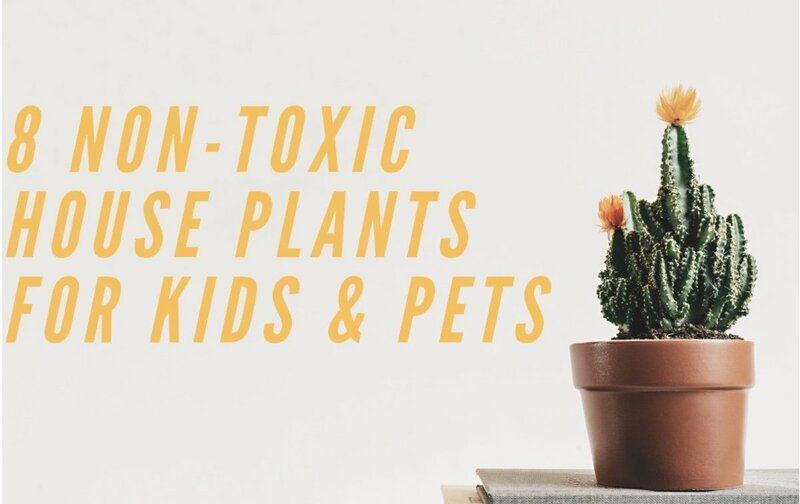 For more ideas about plants that are safe in the house, see these eight non-toxic house plants that are safe for children and/or dogs and cats. The ASPCA also has a very comprehensive list of toxic and non-toxic plants for animals. In the United States, the National Capital Poison Center offers a free phone number that people can call for help with a potential poisoning case. Help is provided 24 hours a day and 7 days a week. When symptoms are serious, however, it may be more important to get to a hospital than to phone a poison control center. The U.S. National Library of Medicine (run by the NIH) has information about Dieffenbachia poisoning. The National Library of Medicine also describes oleander poisoning. The National Capital Poison Center describes the dangers of daffodils. A BBC news report describes the incident in which a daffodil bulb was mistakenly added to soup. ASPCA (the American Society for the Prevention of Cruelty to Animals) has a useful website with lots of information about poisoning in pets. They have an emergency phone number that is available 24 hours a day and 365 days a year, but they say that a $65 fee "may be applied" to the caller's credit card. What are some indoor plants that are not poisonous? I’ve chosen to list some plants that are non-toxic to humans, dogs, and cats. It should be noted that even non-toxic plants can be irritating to the digestive tract if eaten in large amounts, however. In addition, some humans and animals have a sensitivity to the effects of a particular plant that other individuals lack. I use the ASPCA website (American Society for the Prevention of Cruelty to Animals) as my main source for determining whether a plant is safe for dogs and cats. The African violet (Saintpaulia) is one of my favorite houseplants because it’s so pretty and it’s non-toxic for my pets. I love Christmas cactus (Schlumbergera) for the same reason. The cactus is also easy to care for. Other non-toxic plants that I haven’t kept in my home include the Boston fern (Nephrolepis exaltata), Peperomia, the prayer plant or maranta (various scientific names), and the lipstick plant (Aeschynanthus). 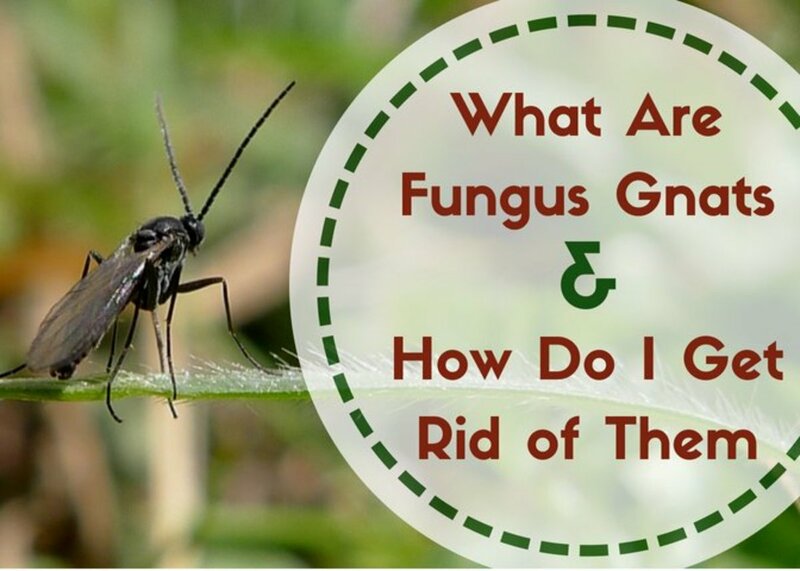 Is the Angel plant a safe or toxic indoor plant? The only indoor Angel plant that I know of is the Exotic Angel plant. "Exotic Angel" is a brand name, not the name of an individual plant type. 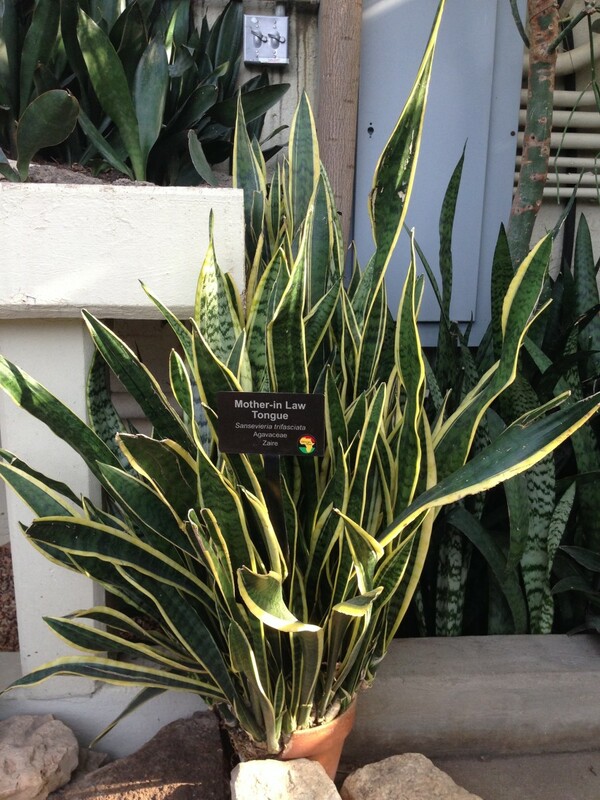 Many different kinds of indoor plants are grown under the Exotic Angel label. You would have to determine what kind of plant you actually have in order to research its toxicity. If you don't know the type, it's safest to assume that it's toxic. Hi, Mary. Yes, education about a plant's potential dangers would be a good idea! Oh my. These are some of my favourite plants and flowers. We grow them outside though but even then, it is good to educate the kids just to admire them. That would be difficult for me to do, Dolores. I live far away from Pearl City and don't know the church or what kinds of plants it contains. Perhaps you could gather safety information about the specific plants in the church and give it to the people involved or post it on a bulletin board. That might get people's attention. I recently attended a church in Pearl City, HI.on 4/8/2018,where most of the indoor plants are toxic and poisonous to Humans and plants. The Pastors and congregation seem to oblivious to this. Can you send out a public warning to stop this practice. I think that daffodils are beautiful flowers. Thank you very much for the comment and for sharing the article, Maria. Such an informative article. I must admit I have been eyeing some of the plants listed on here especially the indoor ones, will do better research now. Thanks for the great article I have shared with other moms too. Hi, Patricia. Thank you very much for the visit and the angels.. Your Momma sounds like a wise woman! I hope things are going as well as possible for you. Thank you very much, Dim. I don't know how I missed your comment! I appreciate it a great deal. Well done...for those who are unaware of the dangers lurking in their yards and gardens this is very helpful. The main reason I am familiar with them is that my Momma was always growing and nurturing amazing plants including the ones you highlighted. She would tell us girls which ones to watch out for for our safety and the safety of our many animals. WOW !! A mountain of marvelous information here. The pictures are beautiful. How deceiving some beauty can be, eh? I once had a cat that ate our Spider Plant on a regular basis, then she would vomit. Always there'd be a furball or something nasty in the vomit. It seemed she knew how to cure her bad tummy, by making herself sick..
You have done a good service by writing this hub. You've managed to make it interesting and beautiful, but with excellent warnings for those of us who had no idea about certain poisons. Thank you very much for the comment and the share, ologsinquito. It is surprising that many popular house plants are poisonous for people or pets. This is very important information, especially for people who have young children. 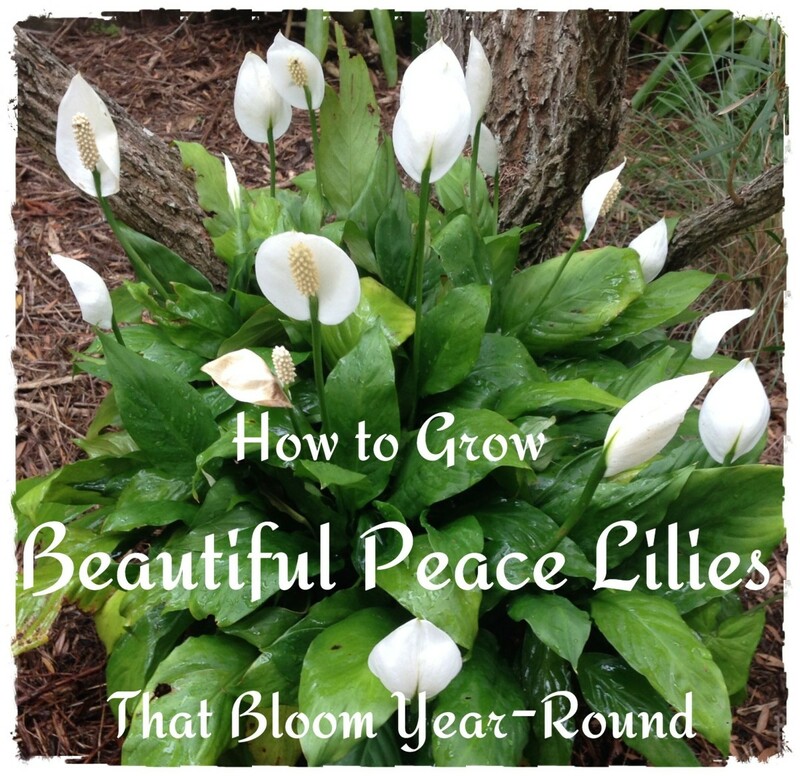 I had no idea that those pretty peace lilies with such a lovely sounding name are poisonous. Voted up and shared. Thank you very much, Kathi! Yes, the number 333 does sound kind of special! I wish more people knew about how dangerous lilies are to cats. If cats eat plants, lilies could be a big problem. Best wishes to you, Kathi. Thank you very much for the comment, Eddy. I appreciate the vote and the share, too! Interesting and useful so thank you for sharing Alicia. Voted up and sharing as always. Thank you very much for the visit and the comment, vespawoolf. It is scary to think of pets and children who have become sick after eating poisonous plants! Wow, what a mountain of useful information. I didn't realize so many bulbs are toxic and the calla lilly really surpised me. It makes me wonderful how many pets have perhaps died without the owner's knowledge of what had made them ill. I will keep this bookmarked for future reference. Thanks! Thank you very much for the votes and the share, Deb! I appreciate your visit and comment. This was a perfect time for this article, right around the holidays, when plants and flowers tend to be given to friends and loved ones. It is never too early to be prepared. Awesome, up and sharing for safety reasons. Thanks for the visit and the comment, Dianna. It's sad that some beautiful plants are toxic! I see some beautiful plants listed here and I have some of them around the home. The Caladium is such a common plant to use in arrangements, will have to watch for this toxic effect around pets and children. Thanks for the valuable information. Hi, drbj. I think that Caladiums are beautiful plants! I'm very careful about what I bring into my home or garden, though, because I have cats and dogs in my family. Thanks for the visit. We have most of these plants in the area of south Florida where I reside, Alicia, so I do appreciate learning about their potential poisonous effects. Caladiums and Dieffenbachia in particular seem to grow in abundance around here because of their beauty as outdoor plants. Thanks, Eddy. I appreciate your visit and vote. Very interesting and useful Alicia. Thank you very much for the visit and the comment, AvineshP. Oh really, I was not aware of the existence of these plants. Thanks for sharing this hub, I am sure that the majority of the readers are also not these plants. Thank you very much for the comment and all the votes, Prasetio!! Thank you for the comment, mythbuster. I appreciate your visit! Thanks for the visit, DDE. Poisonous plants are actually harmful for us and our pets, although it's possible that they may have some hidden health benefits, too. It will be interesting to see what future research reveals! Nice hub, easy to understand info. I like that you've also listed so many ill-health symptoms so we know what to look for if any of these plants are ingested. Thanks for writing this. 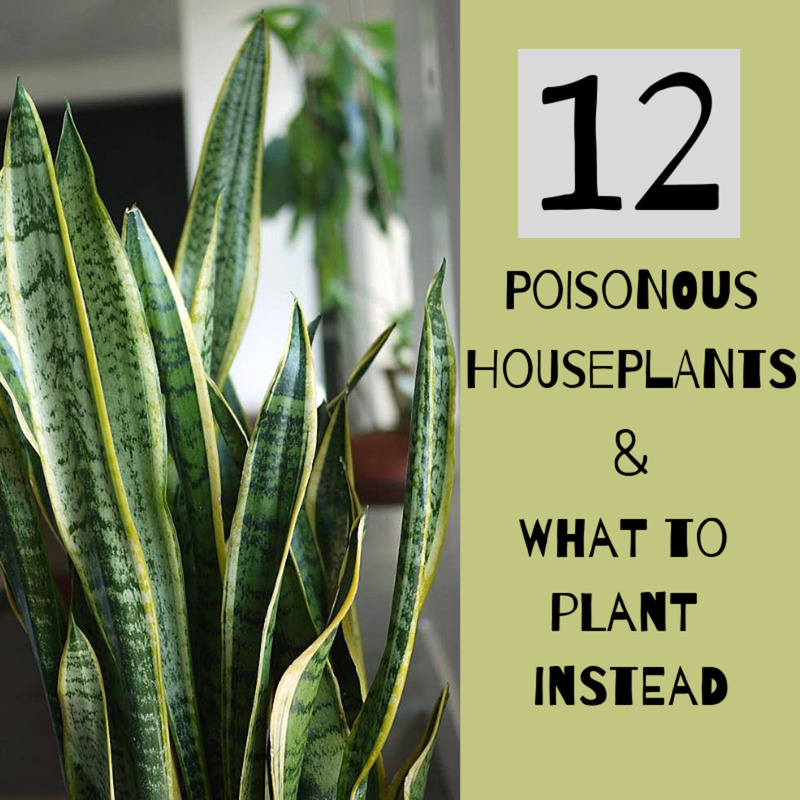 Twelve Poisonous House Plants and Their Health Effects it is amazing how the poisonous plants have such benefits to ones health great hub, informative, useful and interesting voted up. Thank you for the visit and the comment, Bishop55! Nice job on this, very informative! Thank you so much for the kind comment, the votes and all the shares, DzyMsLizzy!! I appreciate your visit and your support very much. Hi, Nell. Thanks for the vote and the share! Yes, it's a completely different situation when a home contains no small children or pets. There's a wider choice of house plants available then. I'm very glad that I have pets in my home, though! What a well-done and comprehensive article. I have a landscaping class in my past, so I was aware that many plants contain toxic components, and of their potential danger as houseplants. However, you've gone over and above with such in-depth and detailed explanations, and marvelous photos! Voted up and across, shared here and on FB and pinned! Hi, epbooks. Thanks for the comment, and thanks for sharing the information, too! Very informative hub. We used to have oleanders. They are beautiful, but definitely don't want to get sick from them. One thing I found out when moving to Vegas is that the Sago palm is fatal for dogs even if they only ingest a small piece of it and rarely there is nothing a doctor can do to help. Thank you for describing your personal experience, agapsikap. I appreciate the comment, the vote and the share, as well! Six months ago, I had removed all Dieffenbachia plant in my garden. Afraid that one of my kids will play on it's leaves. It is very itchy on the skin once you hold it specially the trunk. The same thing with my calladium. I had variety of calladium plants before. They are really beautiful plant though they are poisonous. It is better to plant them far from the reach of your kids. To prevent any accidental incident. This hub is really awesome. Voted up and Sharing! Hi, Faith. It is very scary that we're not warned about the dangers of some plants when we buy them! The story of your pool surrounded by oleanders, young children and pets is frightening, as is your story about foxgloves! Poinsettias are interesting, though. Researchers are currently saying that they are only mildly poisonous, even though they were thought to be very dangerous until quite recently. Thank you very much for the votes and the share, Faith. Blessings to you, too! Thanks for this important information here. I knew of many of these plants being poisonous. At our home in the city, we had a pool, and guess which lovely plants surrounded it ... yes, all sorts of different colored oleanders! Our children were young too, and we had pets, but thankfully, I guess none of them ever had eaten any of the plants! I found out about the Foxglove, as being so very dangerous, after I had already purchased some and a woman came up to me afterwards in the parking lot and asked me did I have small children, (I have grands) and I really did not want to believe her, but when I got home and looked it up, sure enough, very dangerous, and such beautiful flowers. But what got me, is there is not any warning on the plants anywhere saying they were poisonous. I know at Christmas, we tend to forget that the Poinsettia is very poisonous. What an extensive list, with many surprises, such as the tulips and ivy. Thanks for the vote and the share, Thelma. I'm glad that you have a garden. It's very enjoyable to grow plants! 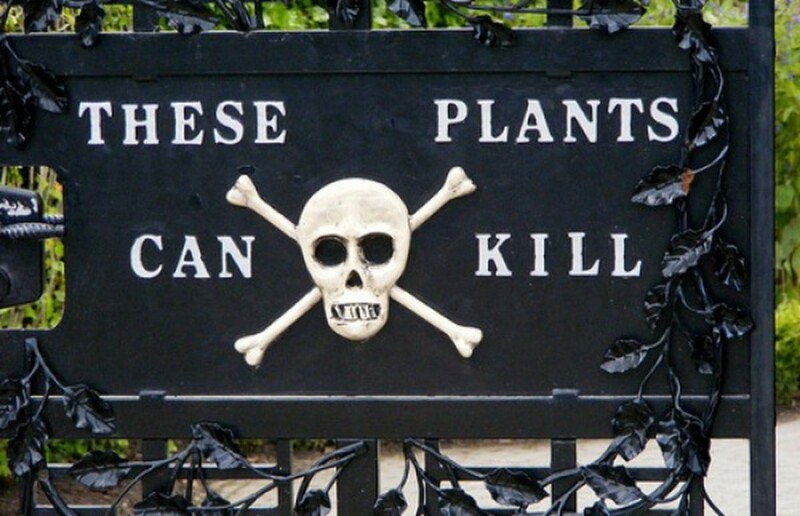 It's good to know which plants are poisonous, though, as well as whether they are very toxic or only mildly toxic, so that care can be taken with them. Thanks for sharing this information. I have a lot of these plants in my garden and it´s only now that I learned they are poisonous. Voted up and shared. Hi, Bill. Yes, it can be a problem when very young children want to put things in their mouth! Thank you very much for the comment, the vote, the share and the pin! Hi Linda. Very interesting topic. We have a few of the plants you listed here in our home and I was not aware that they were toxic. We'll have to keep them in a safe place when our grandson is here as he seems to want to put everything in his mouth. Another great job, thanks for the education. Voted up, shared, pinned, etc. Hi, Crafty. One of my three cats is a great climber. He likes to nibble the leaves of my indoor plants occasionally, too, if he can reach them! The other two cats aren't interested in the plants. It's good that you have an African violet, which is classified as non-toxic for cats. Thanks for the comment. Such interesting information and beautiful photos. We have one house plant at the moment which is an African violet. I happen to have a great outdoor green thumb. No so much for indoor plants! LOL Our cat tries to eat anything we try to grow indoors. I found a glass shelf for my violet for the bathroom because there is a sunny window in there. My cat catapulted himself on to the shelf. Everything crashed down in to the tub. I raised the shelf higher so he can't reach it now. Thank you very much for such a kind comment, Martie! I'm sure my hubber score isn't permanent, but it is nice to have it! Congratulations with you permanent 100 hubber score! You hubs are indeed exceptional stellar. Thank you for the visit and the comment, whonu. Thank you for the lovely comment and the vote, ChitrangadaSharan! Very useful information provided by you! And I must admit I was not aware of this, although these are such common Indoor plants. Thanks for sharing this wonderful hub! Voted up! Thank you for the comment and the votes, My Cook Book. I appreciate them both! An informative post and a useful read. Thank you for the great hub. Voted UP and useful. Thank you very much for the comment and the vote, torrilynn! Hi, Cynthia. Yes, I agree - many people seem to think that anything that's natural must be safer than anything that's artificial! This isn't always true, however. Thanks for the comment. Thank you, Audrey. I appreciate your comment and the share very much! Thank you for the visit, Vacation Trip. I appreciate the comment and the vote. Thank you very much for the comment, Martin. @AliciaC thanks for the great read. Very informative! voted up. Interesting and a very informative post. Thanks for sharing. Voted up. It doesn't sound stupid at all, Bill! Plant stores generally don't warn people about the problems that an indoor plant can cause. One thing that really scares me is the lack of publicity about the dangers of lilies for cats. There is such a high death rate in cats from lily poisoning. As always, thanks for the visit and the comment. I know this is going to sound stupid, but it never dawned on me that some indoor plants are poisonous. Thanks for the great information.